These mini-studios offer private bathrooms, kitchenettes with a mini-fridge and microwave, and a shared kitchen on each floor. Secured bike storage and underground parking make an already great location more convenient to access. 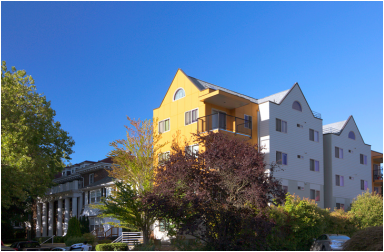 Close to Safeway, University Way (The Ave) major bus routes, and a short walk to UW campus. 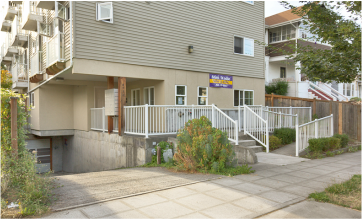 Located in the Greek Row area, these mini-studios are a short walk to UW, and feature private bathrooms for individual studios, or a shared bathroom in the twin studios. Every studio has a kitchenette with a mini-fridge, microwave, cabinets and counter space, and there are two shared kitchens. This location also features secured underground parking and onsite laundry facilities. A block from University Way (The Ave), and minutes from UW Red Square, these furnished, dorm style rooms are our most affordable option. Each floor has 8 rooms, two shared bathrooms, one shared kitchen, and a spacious common area for dining. 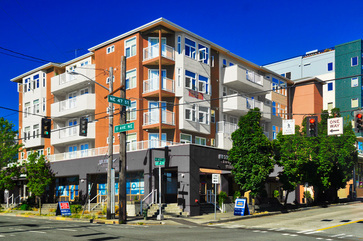 Located in the Greek Row area, these recently remodeled 3 bed/2 bath apartments are just steps from UW. They feature large living rooms, full kitchens, and balconies. This location also has secured underground parking and onsite laundry facilities. 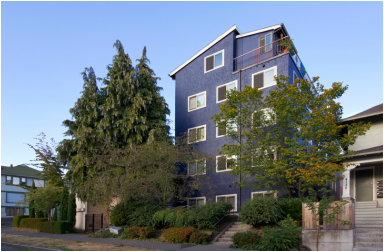 Located just off the 45th ST I-5 exit, these 4 bed/3 bath apartments offer a great value in a quieter area, good for those who commute, while still within walking distance to UW (11 minutes). They feature large living rooms and full kitchens. This location also has secured underground parking and onsite laundry facilities.